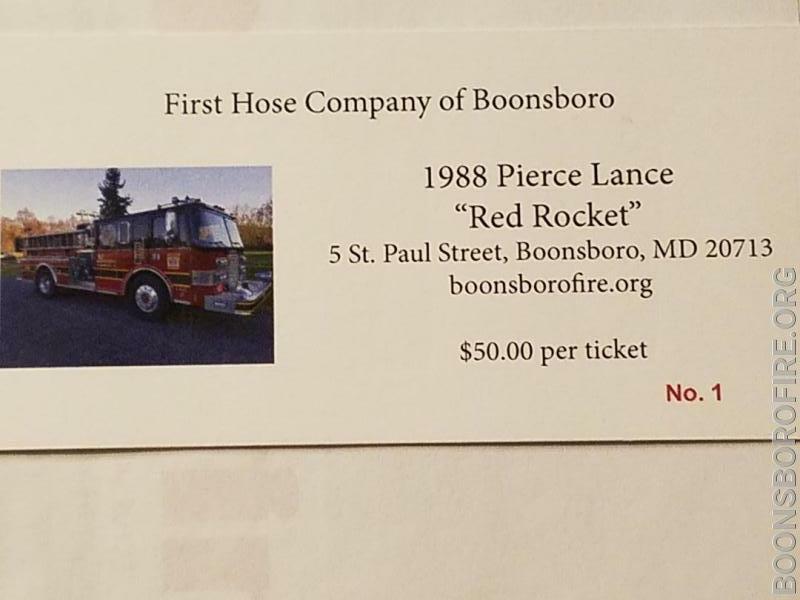 First Hose Co. of Boonsboro is holding the Red Rocket raffle. The pumper is a 1988 Pierce Lance, 1250 gpm, with a 750 gallon tank. The engine runs good and the pump and generator are in good working condition. Tickets are $50. Only 500 tickets will be sold, Drawing date will be announced when all tickets are sold.